1. 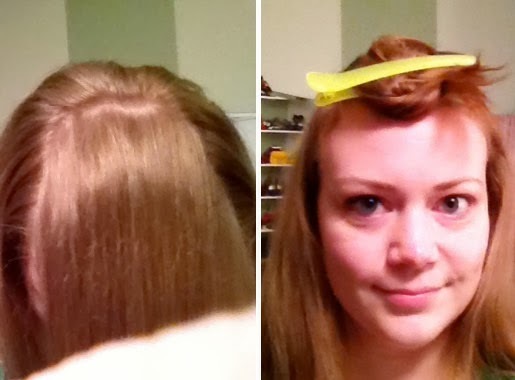 Start by sectioning off a square section on the top of the head. Clip it out of the way. 2. 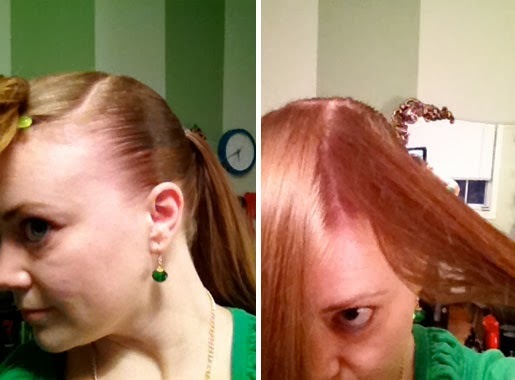 Pull the rest of the hair back into a tight ponytail. I slicked the sides back with gel. 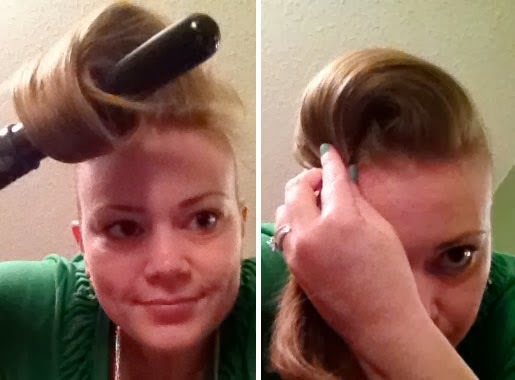 3. take a section of the top and curl toward the direction of the swirl. 4. 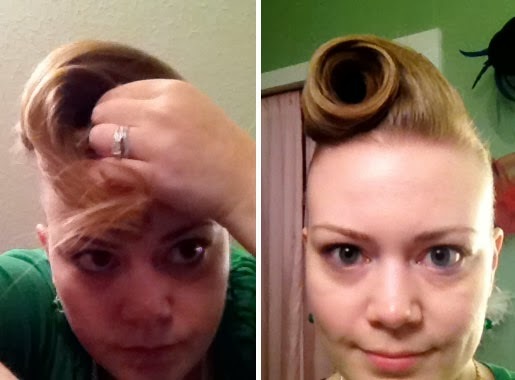 Continue curling, then tease each section. The more you tease, the more solid your swirl will be. 5. 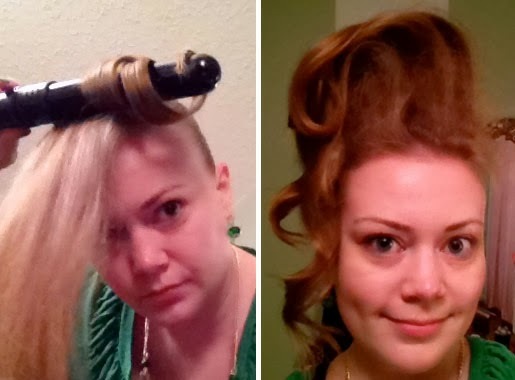 Take the whole section and curl it together. 6. Brush the hair to smooth it. Gather it together like the photo. Pinch it and then start the swirl. teasing, it shouldn't take more than a couple of bobby pins to secure.